ARCport plays an integral role as a hub of workflow in the Cardiology arena in the healthcare enterprise. ARCport Server runs on most Microsoft Server platforms and requires minimal overhead. It works well in Citrix, Microsoft Hyper-V, and VMWare Server virtualization environments. The database can be installed into existing enterprise SQL Servers for immediate inclusion into backup and disaster plans. 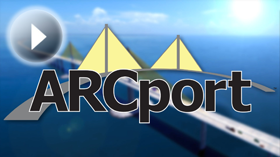 ARCport Workstation works in Windows XP or Windows 7 32bit or 64bit platform. It is also functions in a Citrix published desktop or as a published app, Microsoft Hyper-V Desktop or Terminal Services, and VMWare Virtual Desktop. Physician reading stations are recommended to have a dual screen configuration for best results. 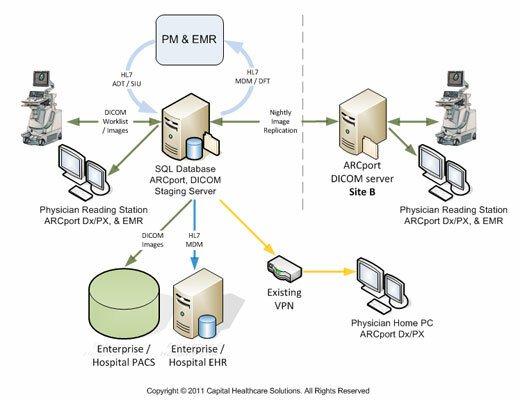 See how your physicians and staff can quickly benefit from ARCport's workflow improvements. Rely on expert guidance at every step instead of frustrating tech support runaround. Being completely digital and partially virtualized, our infrastructure is a vital asset. So maintenance, backup, and support are my top priorities. ARCport is one of the easiest programs for all of these areas. It has a small footprint in our server rooms and has required no extra bandwidth between our offices or the cloud. Copyright © 2012 Capital Healthcare Solutions, LLC. All Rights Reserved.